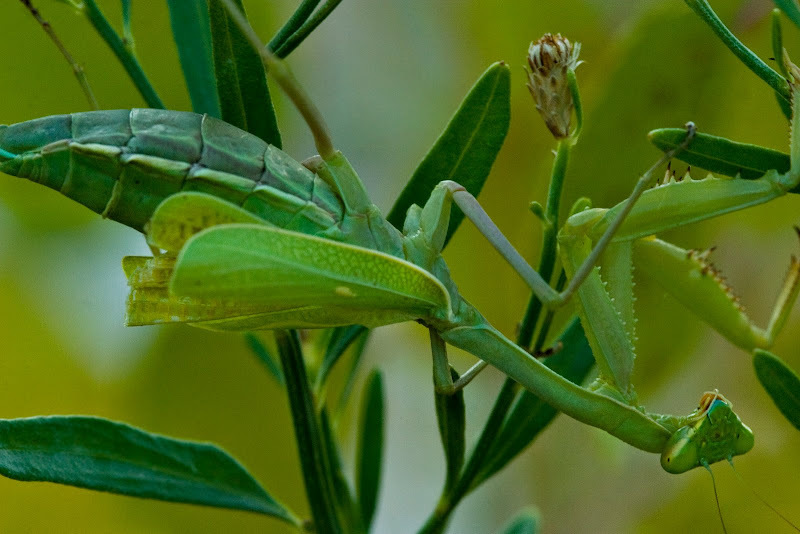 I spotted this large praying mantis while we were camping by the Virgin River. This one blends in perfectly with the surrounding plants, where it was waiting for unsuspecting insects to cross its path. This mantis, hung upside down next to our campsite, which allowed me to observe it closely throughout the evening and next morning.